The Valyrian, an evolutionary Sub-Ohm Tank platform presenting a 25mm diameter chassis with a 5 milliliter max capacity and the new Valyrian coil with quad coils and parallel legs, higher power, and coil pins for custom air flow and flavor. The Valyrian measures 25mm in diameter and features sleek and smart design elements that combine for a universally appealing design. The Valyrian features a heat insulated flip top fill method, with a press of a button the top pops open and reveals dual 3mm by 8mm fill ports. 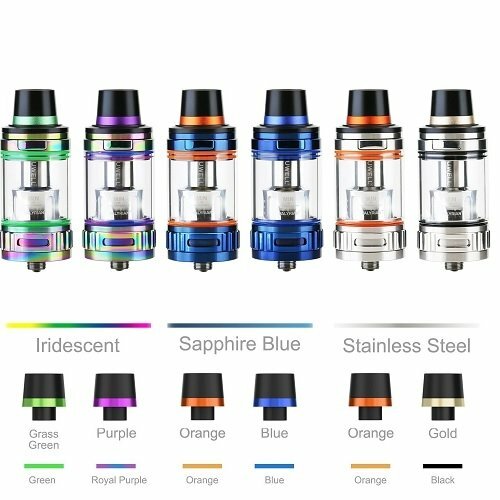 The Valyrian utilizes the new inner coil pins, each differentiates through flavor and airflow change, customizing the tank internally for each users preference. Three 8.5mm by 3mm triple adjustable bottom airflow makes for smooth and effective airflow, and can be fully closed to seal the system effectively.